Abercrombie & Fitch: 50% off everything! Cole Haan: 40% off everything! But wait! There are more great sales! Rebecca Minkoff: 25% off when you spend $100 or more. 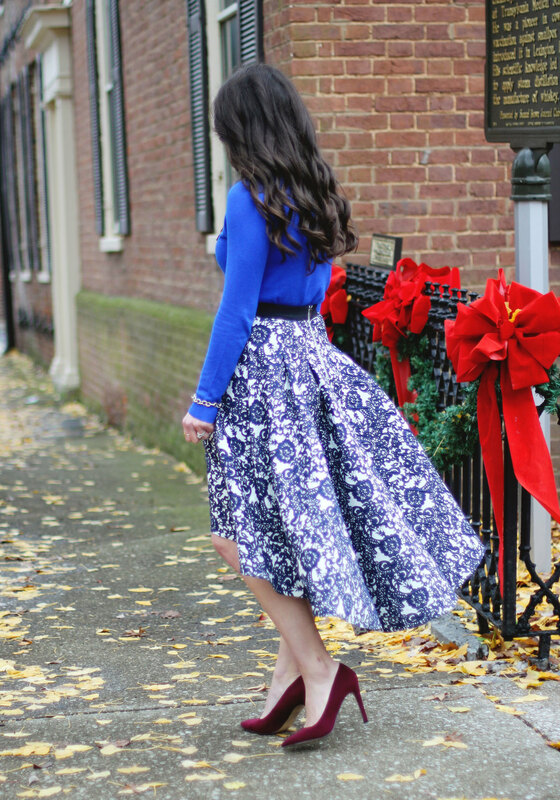 When I saw this skirt at Anthropologie, I just knew it would be perfect for the holidays! Not only is it beautiful, but it's a nice length for cold weather. 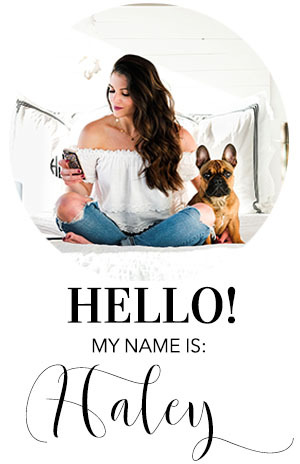 My favorite statement necklace went perfect with this outfit and gives it a pop of holiday glamour. 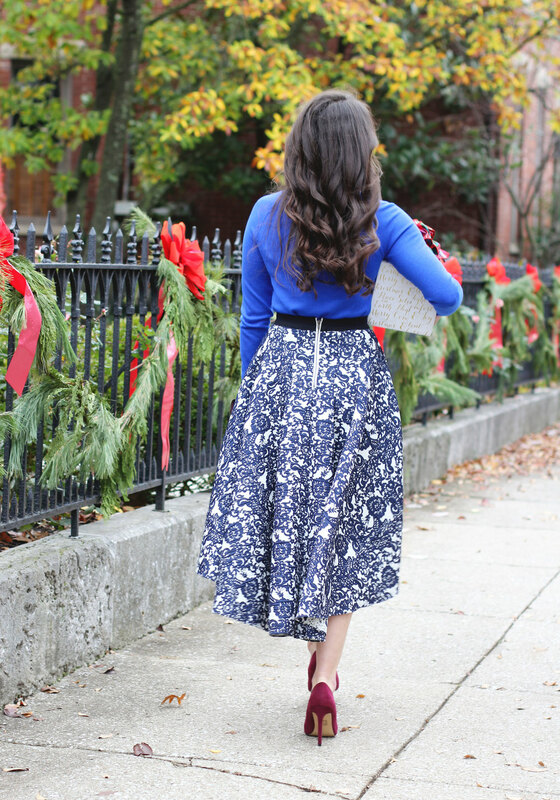 This is one of my favorite holiday outfits so far because the print on the skirt paired with a cobalt blue sweater aren't your typical Christmas party go-to's. Have you started checking off your Christmas shopping list yet?! Sometimes you just need a wear anywhere kind of dress and my friends, this Knotted Knit Dress is it! You can dress it up for a holiday party, or dress it down with tights, boots, and a chunky cardigan. The skirt portion of the dress is also lined, so it isn't super thin. This is amazing because let's face it, sometimes thin jersey dresses just don't feel right on the booty! The red Longchamp bag I'm carrying has a bow on it because it's also on my Gift Guide For Her and if you ask me, it's one of the best gifts out there! I use mine all of the time for so many occasions! So tell me, what is number one on your wish list this year?! Party season is upon us, but you don't always need to buy a new dress or outfit! I've had this cute little BCBG number for awhile and have worn it before, but it looks completely different when paired with my white bow blouse. Re-wearing a dress isn't always exciting, but the bow blouse completely changes the look and the dress doesn't even look the same. I've linked the white version and many more below (and might have the red one in my shopping cart)! 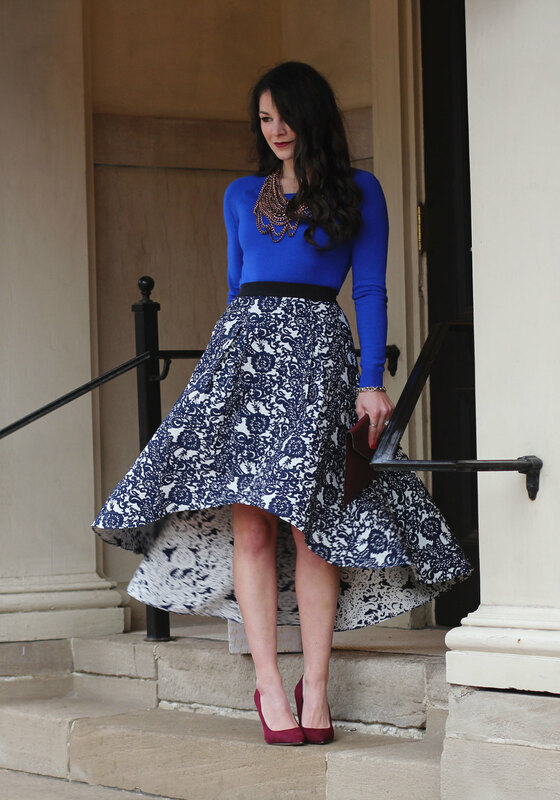 One other way you can re-wear your holiday frock from last year is to wear it under a full skirt! I've done this a lot with my sequin dresses from last year's NYE and it's the best way to update your look but not spend too much money. This leather midi skirt would also be a fabulous choice and is on sale! If you're wondering what to put on your wish list this year, I would highly recommend these over-the-knee boots by Steve Madden. They are super comfortable and I absolutely love how they look with dresses, skirts, pants, you name it! They come in two different colors and would look mighty fine under your tree! Plus, for Cyber Monday, you can get free shipping and 20% off with the code CYBER!